Has anyone swapped there halogens for LED bulbs? If so which ones? Everything I've read on here says the LED bulbs for the Commanders aren't that good. I wish there was a good one cause I would switch in a heartbeat. Most seem to go to HID's which I personally find to be a bit finicky. If you find any good LED's please let us know. Audioformz top with Alpine radio and 4 speakers, backup light and interior dome light. I have been meaning to try these but just have never gotten around to it, as I don't really need them since I have leds on the a pillars and roof. When I had my rhino, I found some hi/low beam leds with a fan and they were awesome. I was interested in these below for the commander because, unlike with the rhino, the back of the bulb assembly would be exposed on the commander and the heat sink on these is fanless. Also, I think I originally found these as I read some positive reviews of them being used on can am outlanders or renegades. Double check that defenders use the same bulb (9005) as the commanders or find one with the correct base. Last edited by slowindown; 11-08-2018 at 10:46 AM. I changed mine out to some I found on ebay. Not real expensive but definitely way better then the halogen bulbs!! I then added a 42 in light bar after but the bulbs made a big improvement. Well I'm glad to hear there are some led options now. Everything I had read previously pretty much said they all sucked. I'm basically just looking at it for the reduced power draw. I have the 35 and 55 w HID's and love them. 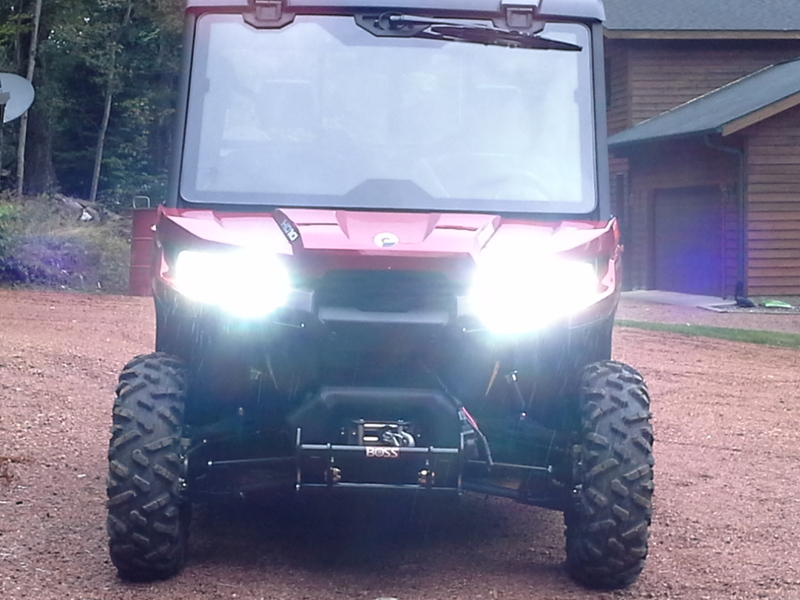 The stock defender comes with 4 35w Halagon, I upgraded to the 55w for my high beams, quite the difference. The led's will not be as bright but will be bright. 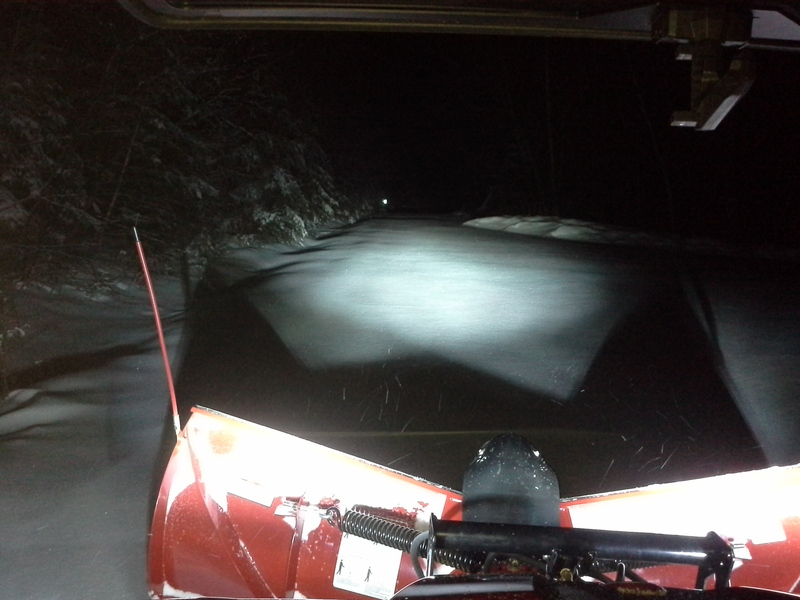 LED is an instant on where as HID has about a 3 second warm up time. Last edited by Tuck11; 01-14-2019 at 06:11 AM. I was surprised how much better the were. For $30 i was able to replace hi and low beam and they are just as bright as the ones in the picture above. They have been through the mud and water and no issues so far. Royalt custom lighting. They have led and hid’s. Very bright lights and great customer service. So do the new LED bulbs give you the same "line" that you see where the lights stop on the low beams? Not sure what you mean by "same line" I do know that the LED's that you get from Royal T custom lighting are fully adjustable in regards to the beam.